Arguing that scholars should follow methods of analysis developed by historians of women in the early Middle Ages and must confront problems in the so-called ‘Duby thesis’, this article shows how anachronistic analytical categories and insufficient source criticism have masked our appreciation of the extensive political activities of non-royal aristocratic women in France during the eleventh to thirteenth centuries. 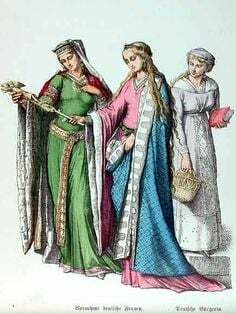 Emphasising the domestic context of lordship and political action in this period, as well as the multivalence of gender as an explanatory category, it reveals strong continuities between women’s powers in the early and central Middle Ages and shows that female lords were a routine and acceptable part of the medieval French political scene. By discussing important approaches to the study of women and gender in the light of the growing stream of largely document-based studies devoted to prominent noble women and aristocratic society in medieval France, I outline in this article certain fundamental structures, both socio-political and conceptual, that routinely produced politically prominent ruling women and ‘explained’ their apparently anomalous status. My main point is that aristocratic women legitimately participating in ‘public politics’ and exercising authoritative lordly powers – i.e., the same powers as male lords (domini) – were widespread enough to be unremarkable in the ordinary course of affairs in France during the eleventh to thirteenth centuries. I do not suggest that aristocratic women ruled as often as elite men; nor do I deny that their gender could make them vulnerable as politically active female lords (dominae). But I do argue that being anatomically female did not render women incapable of ruling and wielding authority over men, in either law or practice. This is to say that being a woman did not, ipso facto, constitute a legal incapacity to lordly rule in this highly patrimonialised society, in which political and economic powers were exercised largely within social structures rather than through impersonal, bureaucratic institutions; and when social rank, personal lord-follower bonds and customary inheritance practices often weighed more in determining a person’s politico-economic status than office-holding and any legally stipulated rights or disabilities.